In direct response to the devastation from the recent floods in Nashville, musical instrument retailer Guitar Center has launched a dedicated initiative titled Operation High Ground for Nashville Flood Relief, to help musicians, songwriters, recording studios and audio professionals re-build their lives. The goal of the program is to help Nashville’s music community get back on its feet as quickly as possible to keep the music going in Music City. Guitar Center’s President, Greg Trojan, made the announcement. As the events of May 1 unfolded, Guitar Center management was kept apprised of the Nashville storm situation as the unprecedented floods destroyed several communities. Immediately, the company began to formulate a strategy to take advantage of its extensive resources, both locally and nationally, and put into place a comprehensive, multi-tiered plan that addresses the various musical instrument and professional audio needs of the flood victims. • Dedicated team specialists from both Guitar Center and GC Pro are on the ground in Nashville to interface with and advise flood victims on the best way to either repair or replace their musical instruments and recording gear as quickly as possible. 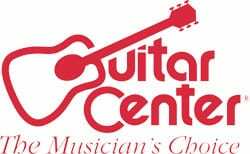 • Guitar Center has mobilized its distribution network to capitalize on the nearby Indianapolis warehouse, to ensure that if a replacement instrument, recording product or piece of audio equipment is not in stock in Nashville, it will be expedited to arrive as quickly as possible. • A special toll-free Tennessee direct hotline (877-687-5405) to the High Ground Emergency Team has been established for customers who have experienced catastrophic loss. Callers can use this number to get rush access to musical gear purchases, along with personalized priority shipment and delivery logistics. • Guitar Center is partnering with MusiCares® to assist the Nashville area music community by providing emergency financial assistance to help those affected get through this crisis. Donations can be made here or at any of Guitar Center’s 214 stores. • TimePayment Corporation, an equipment leasing provider, is working with Guitar Center and GC Pro to develop a lease offering that will help the victims of the floods replace their equipment. • Guitar Center has partnered with local Nashville FM radio station 104.5, The Zone, to help musicians rebuild their devastated communities. Beginning in May, for a six-week period, 104.5 will be holding live broadcasts from storm-damaged areas. Guitar Center representatives will be on-site to evaluate damaged gear and provide advice and assistance. • Guitar Center has also partnered with local Nashville FM radio station 103 WKDF and 3rd and Lindsley to host a charity country music show titled Putting The Music Back in Music City. The show will be broadcast nationwide, and listeners will be solicited for donations to aid flood victims. Guitar Center will donate guitars that will be signed by the various performing artists and give one lucky listener in each market a signed guitar for donating to this event.